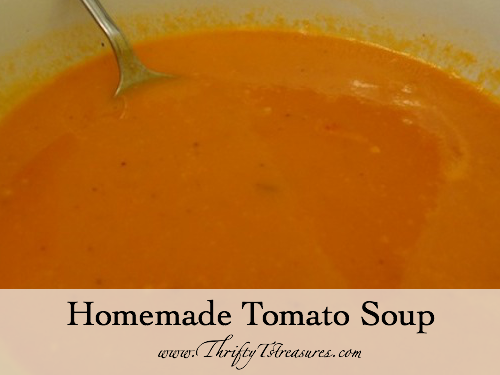 I’m a big fan of tomato soup, but I didn’t think I’d ever be sharing a recipe for Homemade Tomato Soup. Even though it’s super simple to open a can of Campbell’s, this week I found out just how simple it is to whip up a batch up tomato soup. Our garden has done quite well! Once the tomatoes started coming, they haven’t stopped. So, I had to find a way to use them up before they spoil. Thus, this recipe! 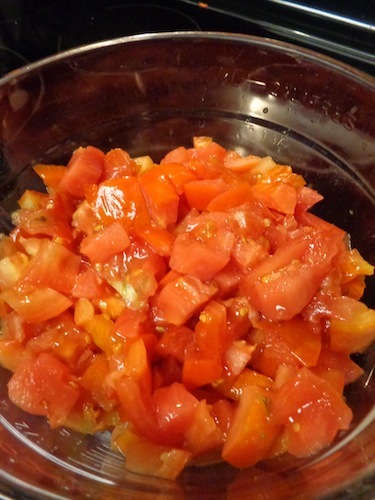 The original recipe called for peeled tomatoes and chopped basil. 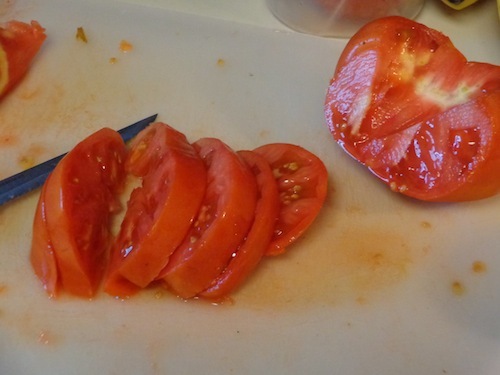 I laughed at the idea of peeling tomatoes – way too much work in my book! So, I thought I’d give it a shot without peeling them. There were a few bits of peel, but they didn’t bother us. You could strain the soup if it bothers you. It also called for chopped basil. Well, I didn’t have any so I just used some dried spices. I’m happy to report that this soup turned out quite well! Puree the soup. (An immersion blender is the easiest option but you can also use a blender. If you use a regular blender, do so in small batches.) 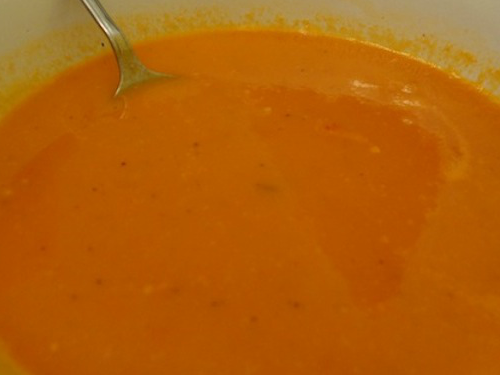 Once the soup is pureed, season it with the salt, pepper and honey. 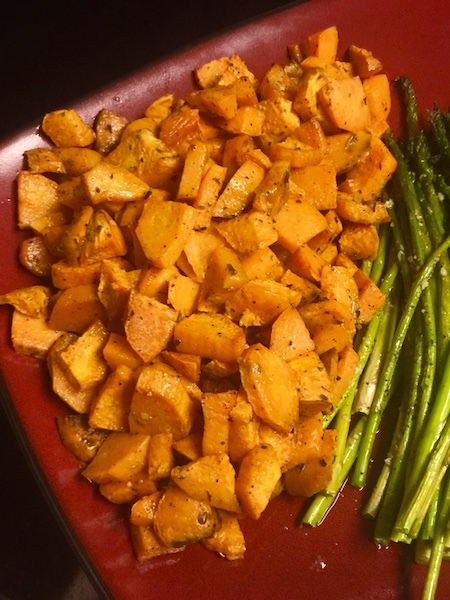 I’m super pumped that I tried this yummy recipe. I could tell that Trent was a bit reluctant, but I knew he liked it when he went back for seconds. 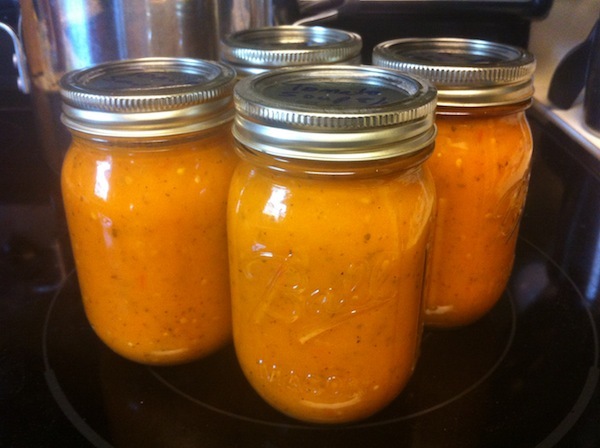 Pour soup in clean jars with lids. 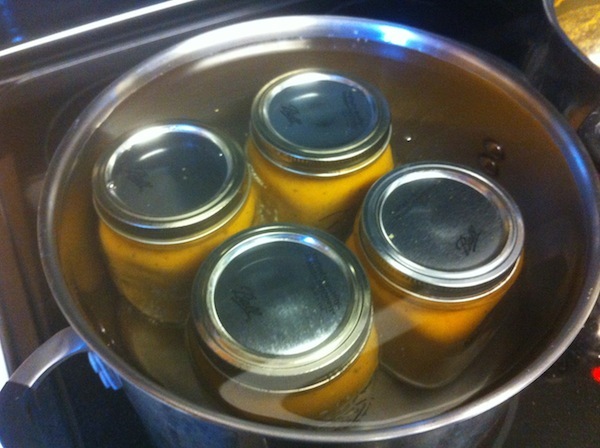 Place the jars in a large stockpot and fill with water until it’s just enough to cover the lids. Boil for 20 minutes. Carefully remove the jars from the water. As they begin to cool, the lids should seal (you’ll hear a popping sound). If they don’t, place back into the boiling water for another 20 minutes. 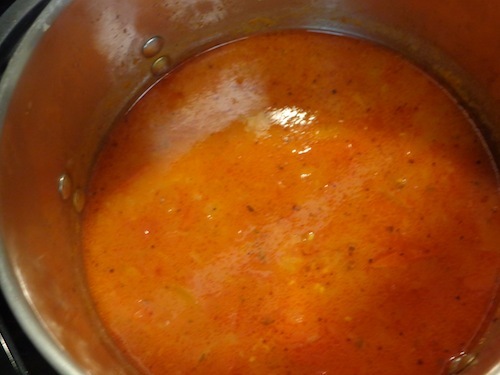 Have you ever made tomato soup? 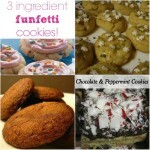 What do you like to add to your recipe? 3 of My Favorite Kitchen Hacks	What’s Important To You? 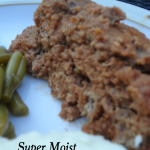 Thrifty T. Did YOU really make this recepie, OR is trhis one like the onion soup recepie? This looks ‘kinda good, and I may try it, but first I really, really want to know the answer. 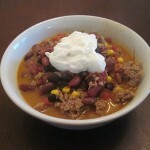 I sure did make this recipe and it’s really yummy. I do recommend that you strain it, though, so you can get all of the tomato seeds out!